Country roads conquered by the great convoy, driven by the Singaporean drivers! One of the popular getaway destinations during June holiday for Singaporeans has to be Australia. Sure, people go Western Australia during the dry months for the cool weather, beautiful huge places, scenic highways and memorable farm visits. 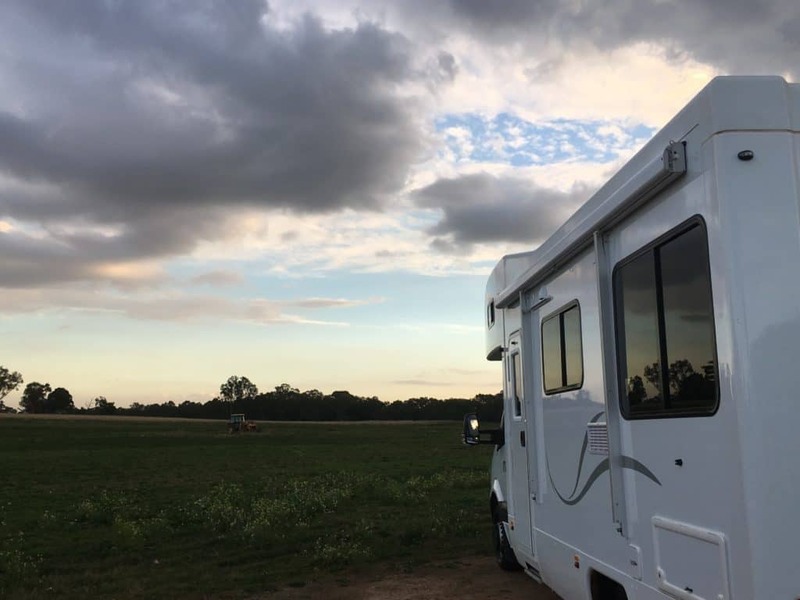 Camping, is by far one of the most process-oriented (in a good way that you get to hands-on to experience almost everything) and earthy ways to vacation. Yes, we get to connect with our family and friends, alongside exciting sightseeing. I am talking about not just the usual park camping. We had our first campervan experience! Feeling utmos excited to see an array of campervans, to hit the road together! 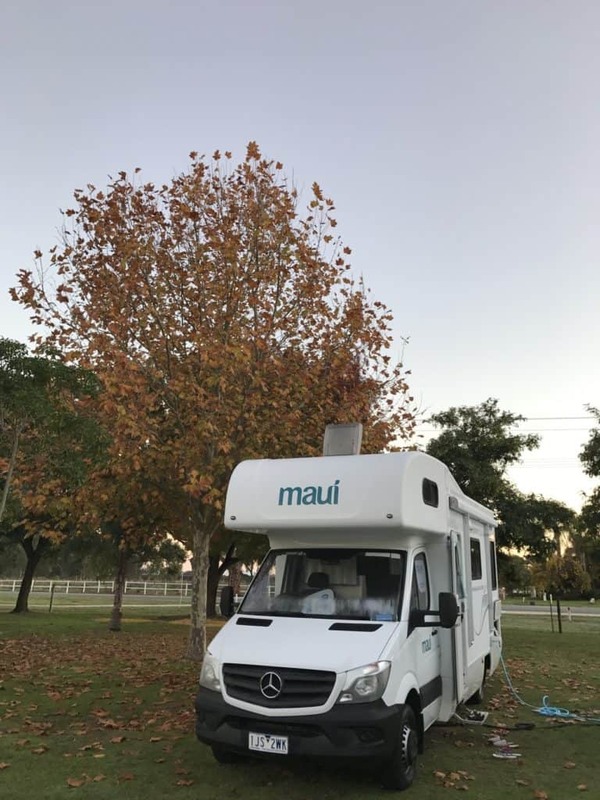 As a first timer to campervan, sorry we were not quite ready to take the challenge of driving this huge rig in a foreign land all alone. 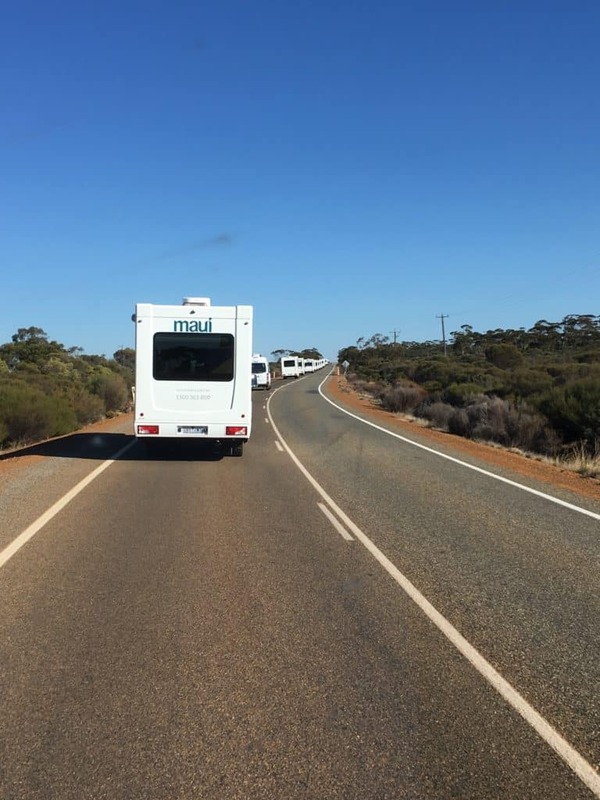 So guided tour with campervan convoy would be the way for us. Yes, we followed a tour package offering 5-day self drive plus 3 days city hotel stay. It fits our intention just as well. 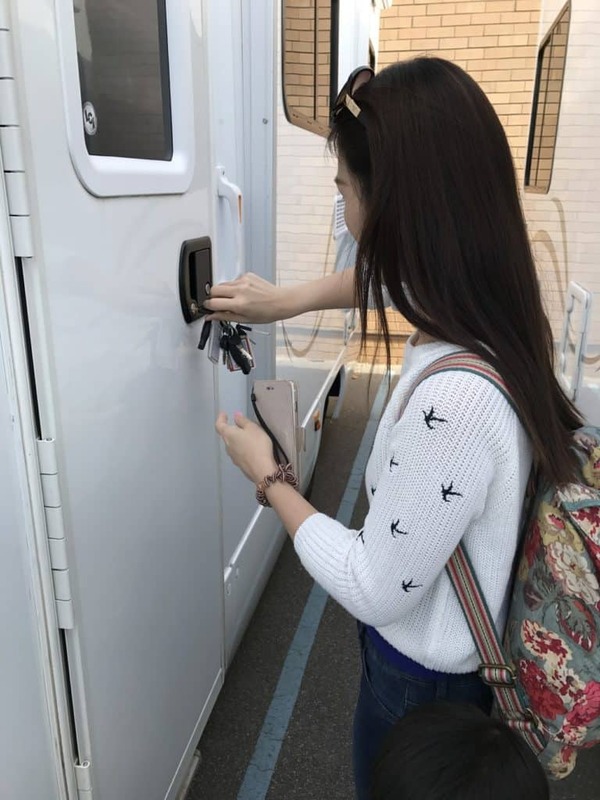 Trying to unlock the door the first time upon collection of my mobile house of 5 days. All necesary bookings were nicely made by the travel agent prior to our departure from Singapore, of course. 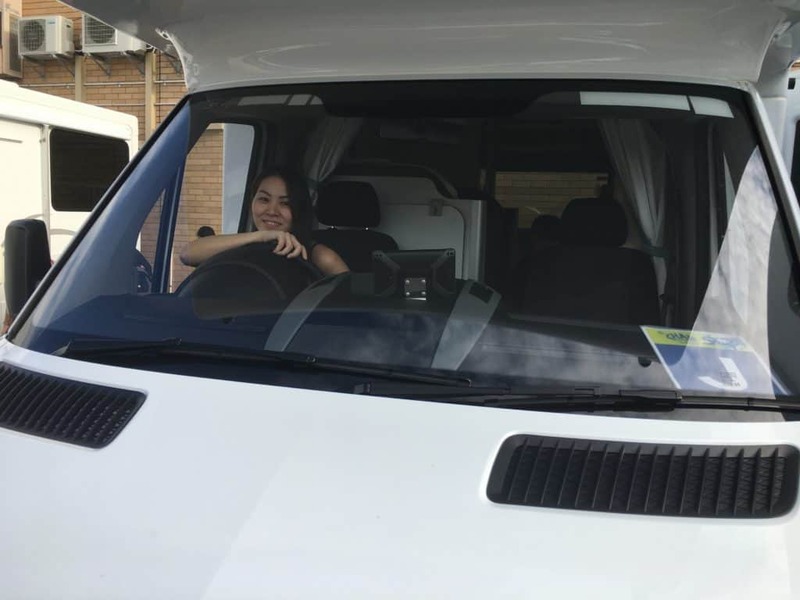 Simply needed to register our driving license and collect a 6-person sized campervan, get a short orientation on the campervan and its facilities, we were all ready to hit the road! As mentioned, itineraries firmed up by the tour guide, just key into the inclusive GPS, and set off to our first destination aka meeting point aka overnight campervan park. 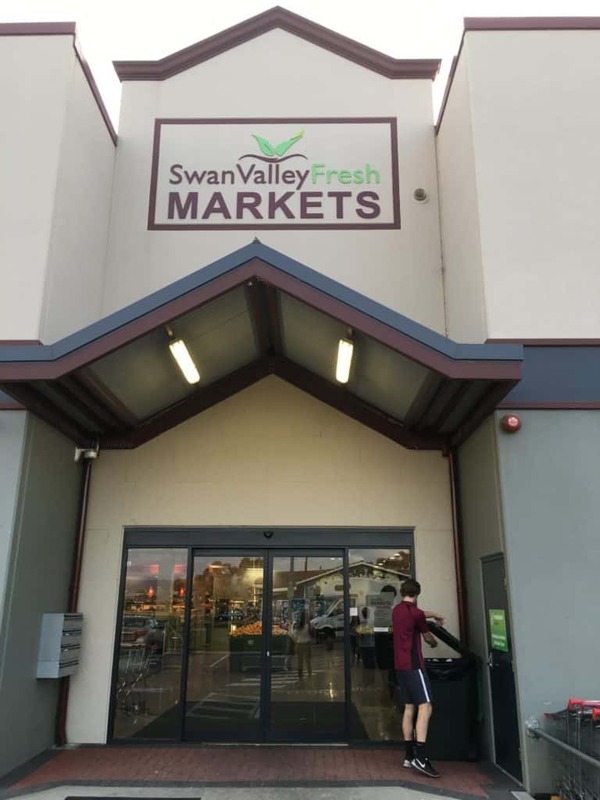 Stopby at the fresh marketplace at Swan Valley area to get cheese, potatoes, garlic, and some pre-marinated raw meat. Oh, we had to head to the supermarket for groceries and fresh ingredients to cook our first dinner, along the way to the campervan park. 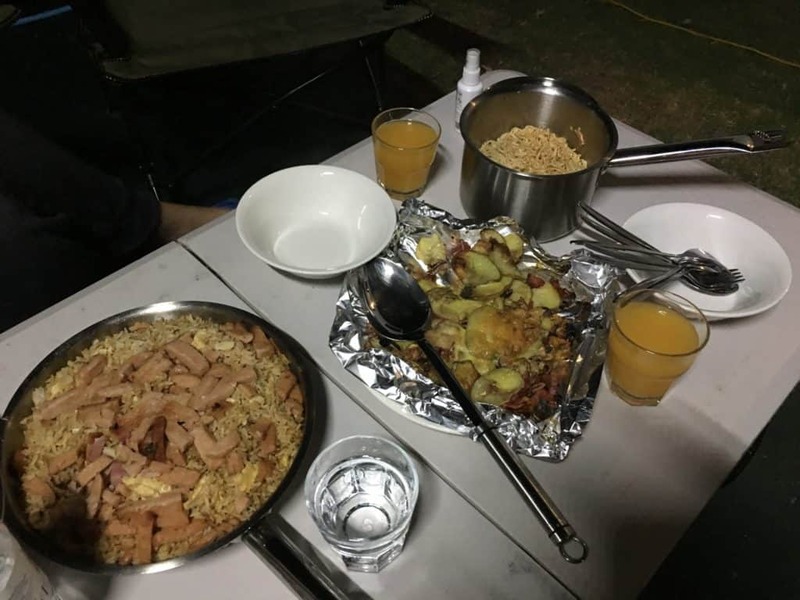 Anyway, the complimentary bag of food and raw ingredients prepared by our tour agent was enough for us for a dinner and breakfast of the following day, in fact. Hey! It’s open now! 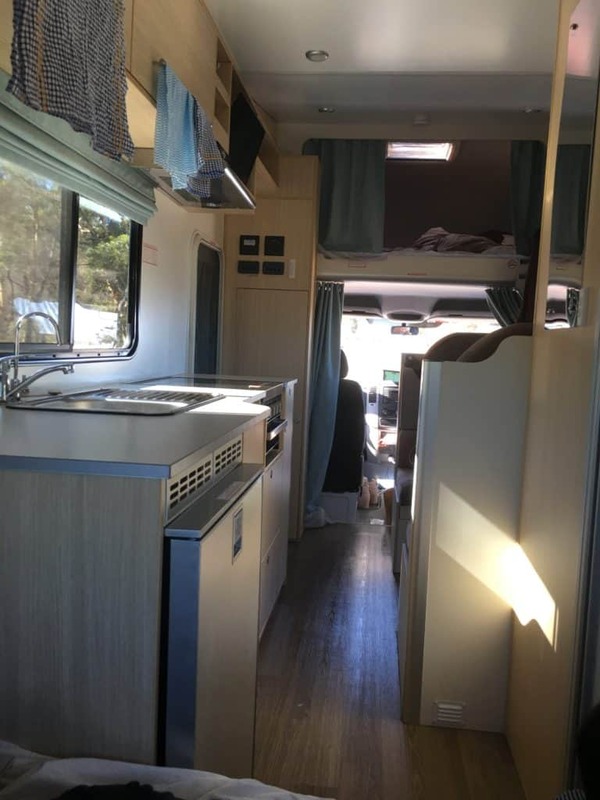 Let me show you the inside..
Basically, rental of campervan comes with everything. Yes, everything you need in an accommodation. Just bring your clothes, food, and of course, yourselves there. The most important component to me, surely, is the “kitchen”. 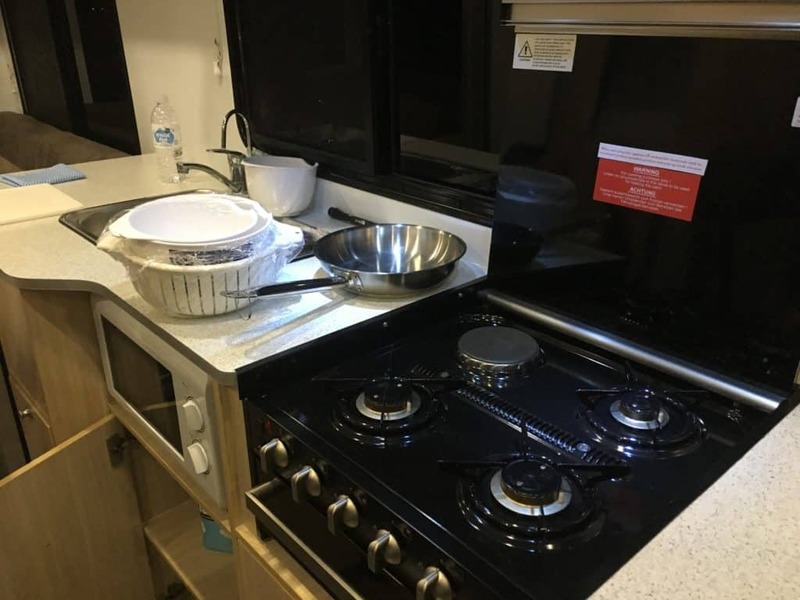 The campervan is fully equipped, from the basic stove, grill, microwave, pots and pans, cutleries, cups and glass to even wine glasses. I was really impressed. 4-cooker stove, fire grill, microwave, washing basin and the fridge (with tiny freezer). What else to ask for?! All the white appliances can only be powered up upon connecting to charging point at the parks. For safety reason. 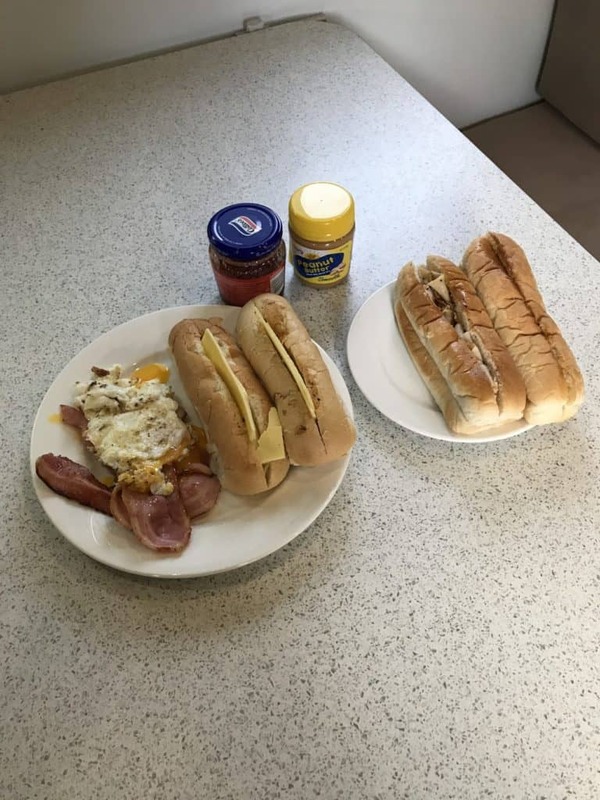 Some things and food are allowed to be brought into Australia. Most importantly, the food items have to be sealed and preferably brand new. Another important point to remember is to declare at the custom that you are going to bring in food items. Things that I have brought with no regret are: Aluminium foil, cling wrap, recycle bags, plastic bags, sandwich bags, dark or light soy sauce, oyster sauce, chili sauce, salt, sugar, oil, and dried noodle or dried bee hoon. May consider bringing rice, instant noodles cups, and snacks & biscuits, if you do not plan to go supermarket right away. All the aforesaid items are available at the local supermarkets, in fact, but mostly sold in large portion. That’s the reason I brought my own there, cheaper and smaller portion. Dish washing detergent and cleaning clothes, even bath towels are given, but you may want to bring extra detergent as well as laundry soap, if you plan to wash excessively. Bear in mind that NO raw food and dairy products are allowed to bring in. It’s advisable to bring along mosquito repellent for any outdoor activities at the parks and farms, and apply sunblock lotion as driving long hours in day might be hurtful for the skin during the dry months. A pair of good sunglasses and large sun shields are recommended, too! For the driver! Please be reminded to bring your driving license. 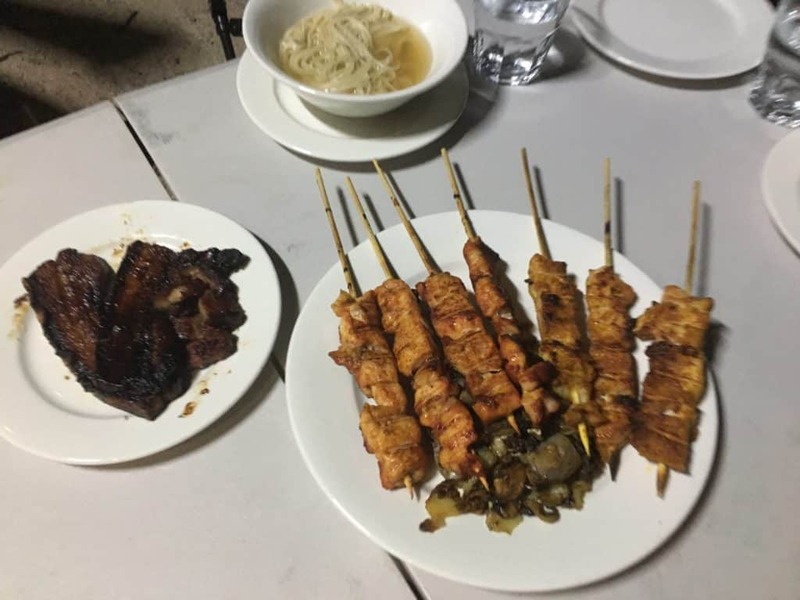 If cooking is not your forte, especially during the vacations, buying frozen, ready-cooked food or simple take-out from the nearby town would be the solution. To me, having an opportunity to cook at the special place or in a foreign country is precious. 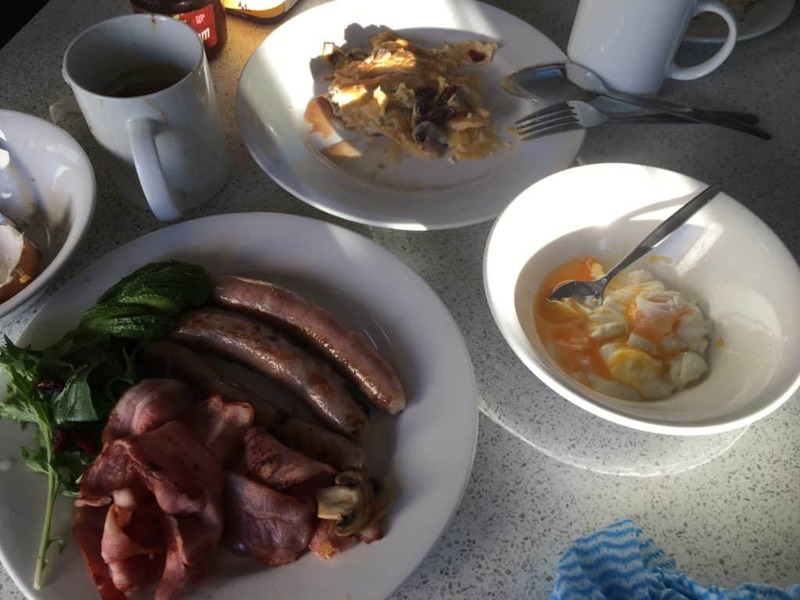 Here are some of my simple and quick delicious “campervan food”, for your reference. Oh, “campervan recipes” will certainly be provided. Stayed tune for my next post! 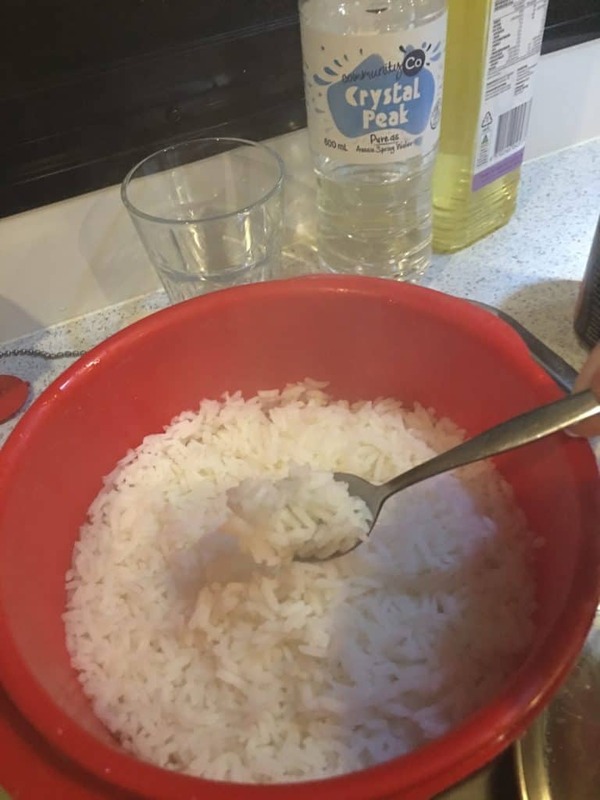 No rice cooker provided, of course… but I have my easy way to cook some rice for comfort. “Cheat version” easy char-siu, I have my simple recipe for adaption! Chicken “satay” bought from supermarket, just grill them will do. Breakfast breakfast! Western or Asian, your choice! Because you have to cook it your own! Bun with ham and cheese. Simply heat it up in microwave. Having freshly cooked hot meal on the outdoor table set together creates a precious connecting moment with family and friends. Place to stop, rest and connect to power and water supply for the campervan. It’s also the place to rejuvenate yourself. 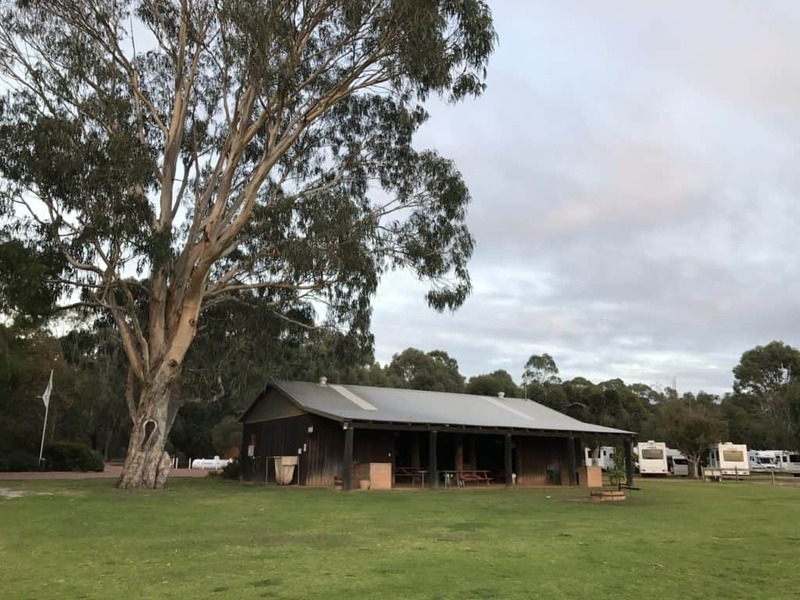 Stopping at proper campervan park or campsite is essential as you will get the power and water supply from the park. Facilities e.g. bathrooms, playground, laundromat service, BBQ pits and etc are provided. 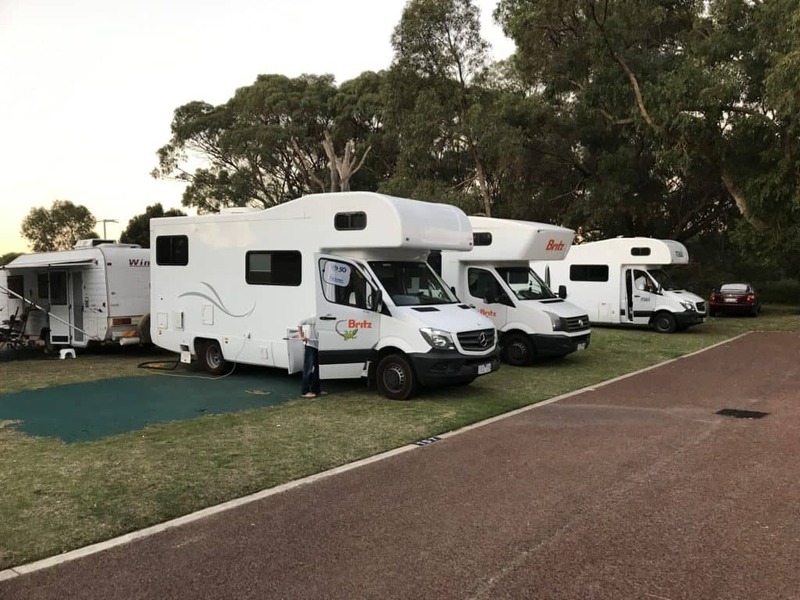 Most of the campervan parks we visited were good enough, but tour leader shared that the “big 4 park” should be the first choice for better upkeep environment. And yes, you have to book a place in the park, at an affordable rate. Water pipe, power cable, charging point, waste disposal area, and even playground or tv room are provided at the park. One of the “Big 4” parks with large common BBQ/ cooking area. 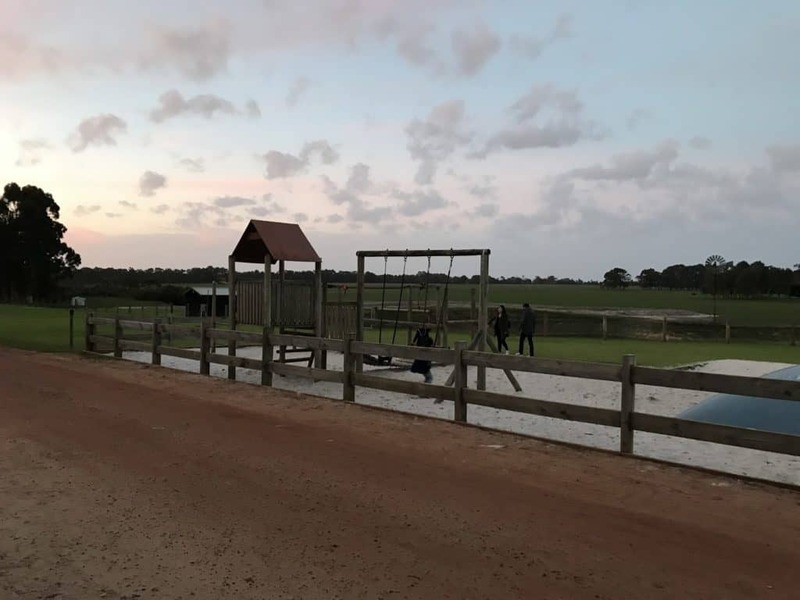 Huge playground and farms for all the young-hearted travelers. Some parks provide resorts and holiday huts, too. A set of foldable table and chairs are provided for our outdoor use. Can you imagine the heavenly feeling of dining and relaxing in the breezy cool weather… that’s what we did. One of the most important parts of having a campervan trip has to be the driving. Many of us were kinda worried about having to drive this huge campervan for long distance. We were, too, in the beginning. We did not probably have any experience with campervan in Singapore. Well, as a regular driver, it wouldn’t be too difficult to pick up the groove, I told myself this. Fair enough, its easy maneuverability gives me enough confidence to handle it along the smooth and wide country roads. Just be careful not to get too close to the vehicle in front. Get ready to step on the brake way before approaching any stoppage is really important. Do not brake abruptly, but slowly, giving myself more leeway to stop in time and in advance. Easily maneuvered campervan drive. Just be extra careful when driving this at the town and residential areas. Remember to store away all items placed on the surface tops before setting off for the next destination. Lock all drawers by pressing in the handle buttons, otherwise, things will just sway and fall along some turning or bumpy drives. 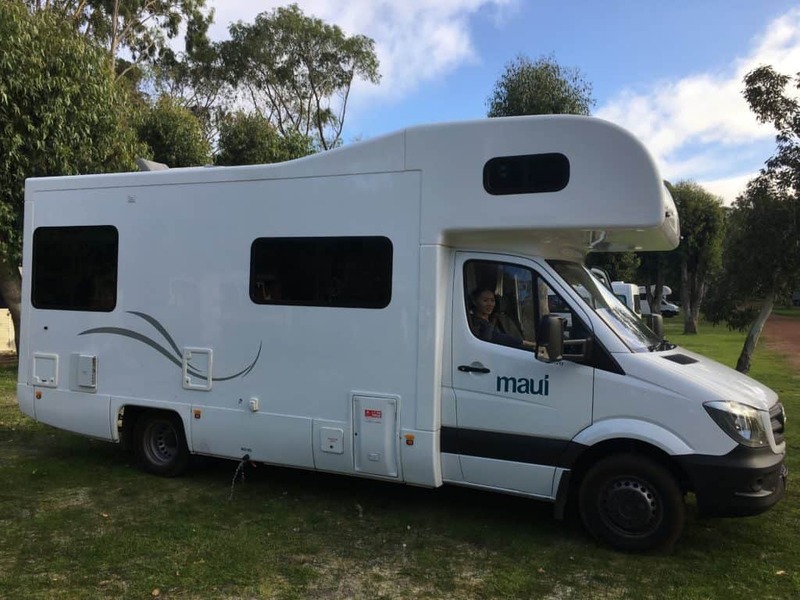 Campervan from Britz or Maui comes in 3 sizes to accommodate 2 persons, 4 persons or 6 person. Getting one for larger capacity translates to getting a more spacious van. So, it’s ok if you only have 4 person wanting a 6-person campervan. It’s better, indeed. You may also opt for with or without bathroom. Stopping along the way for fuel, food and sightseeing would give you chance for toilet break. 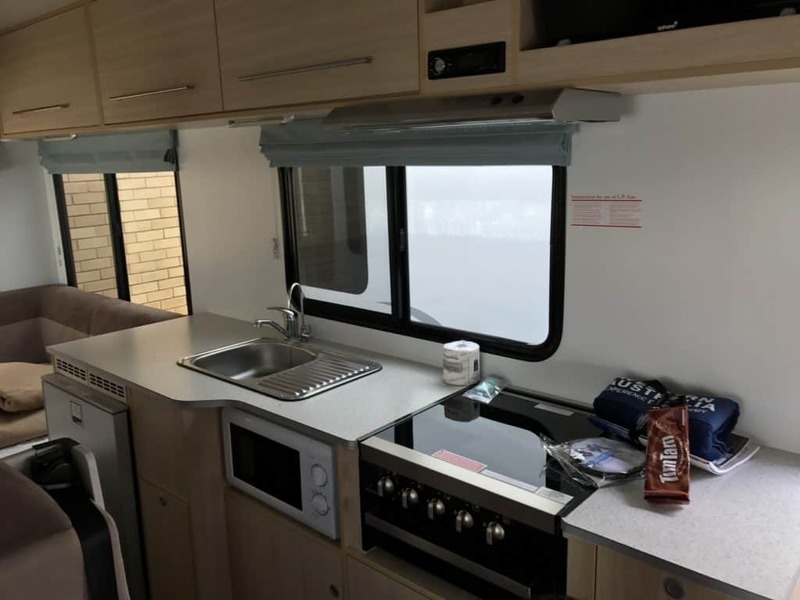 Single-deck campervan for 2 pax. Clean bathroom and toilet attached. 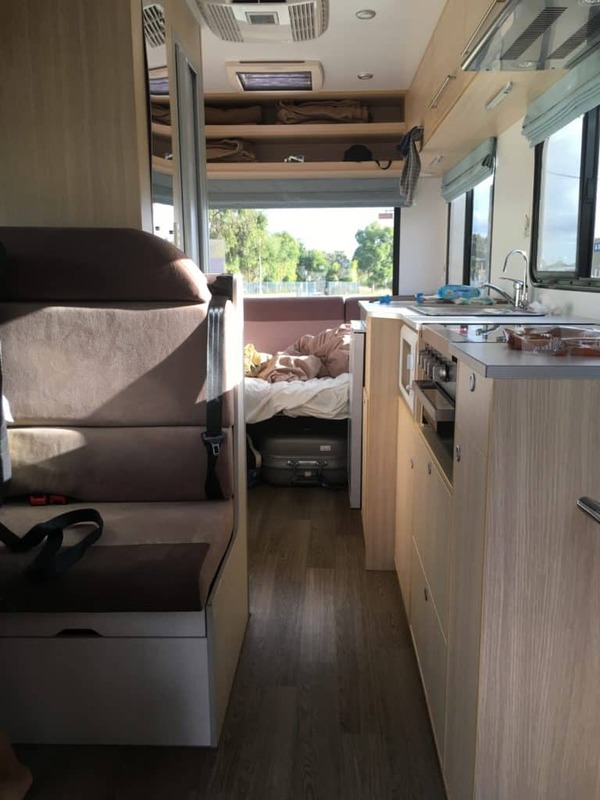 View from the rear bed of 6-pax double-decker campervan. Second deck is a queen bed, with detachable ladder to climb up, it’s kept at the side. Beds are folded up and converted into sofa seats. 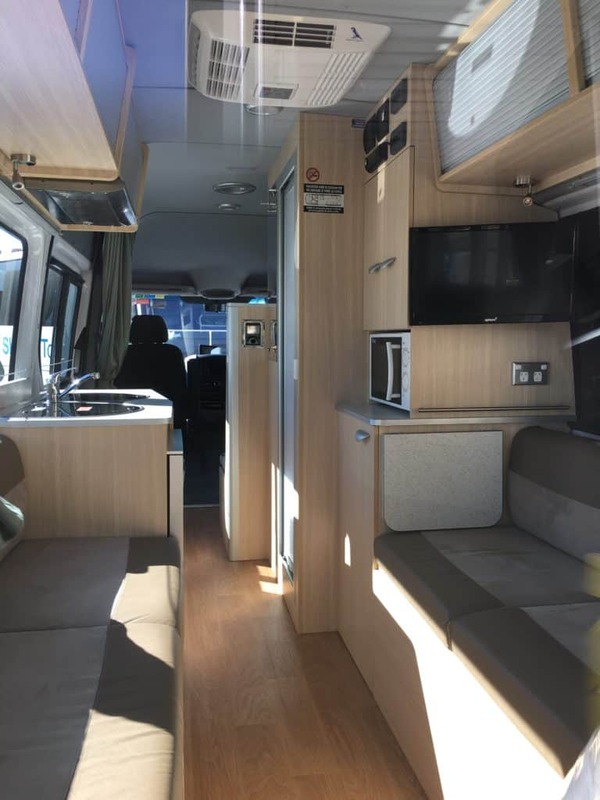 Two detachable tables for dining as well as any required desk-bound tasks are also provided in this comprehensive 6-person campervan. 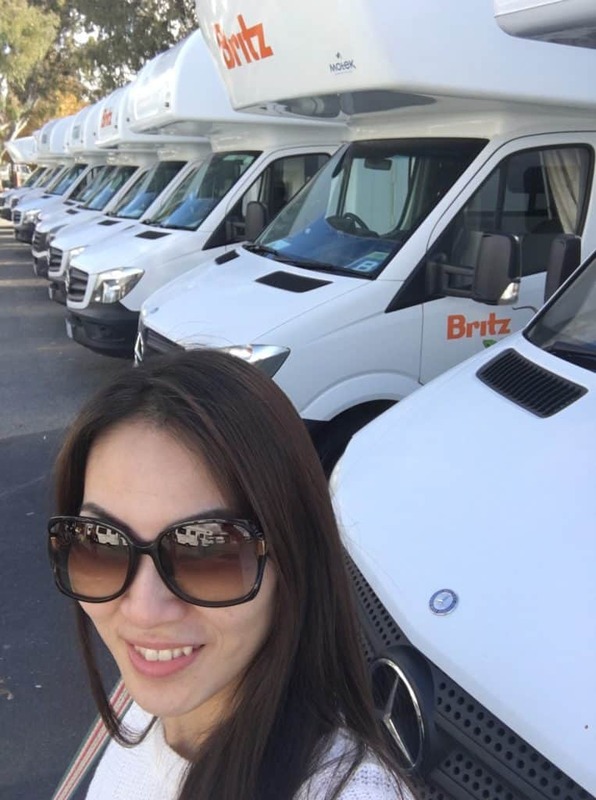 The campervan hire company, Britz. Just 10-minute drive away from the airport. Though I did not personally go through the booking procedure, I promised some of you in my FB to help finding out the rental cost. 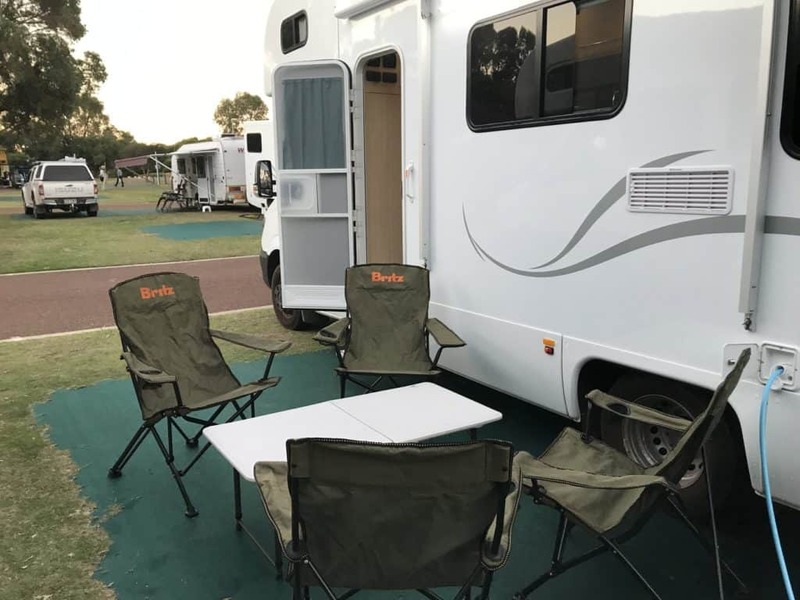 And yes, for the big-six (3 queen-bedder size good enough for six travelers and a attached bath) costs about AUD$200 per day, or less during off peak season (NOT their summer holidays!). Feeling safe with the convoy. With or without the arrangement, do your pre-trip research & follow the GPS guidance, a fulfilling travel journey will just be at your finger tips. Disclaimer: All the above are my personal view and experience from a food blogger, purely for sharing and casual reading. 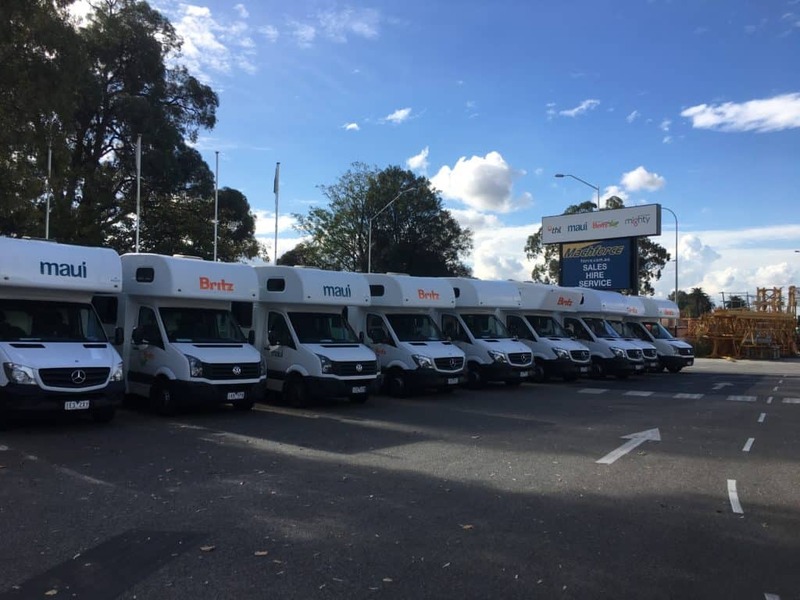 In case if you need more detailed information about where to rent the campervan in Perth, contact me personally. so a SG class 3 can drive a 6berth? So no need to even get an IDP (International Driving Permit), but instead just bring driver license and passport, the company will rent you a 6-berth campervan? That’s quite convenient. I was thinking if I need to get a class 4 driving license first. 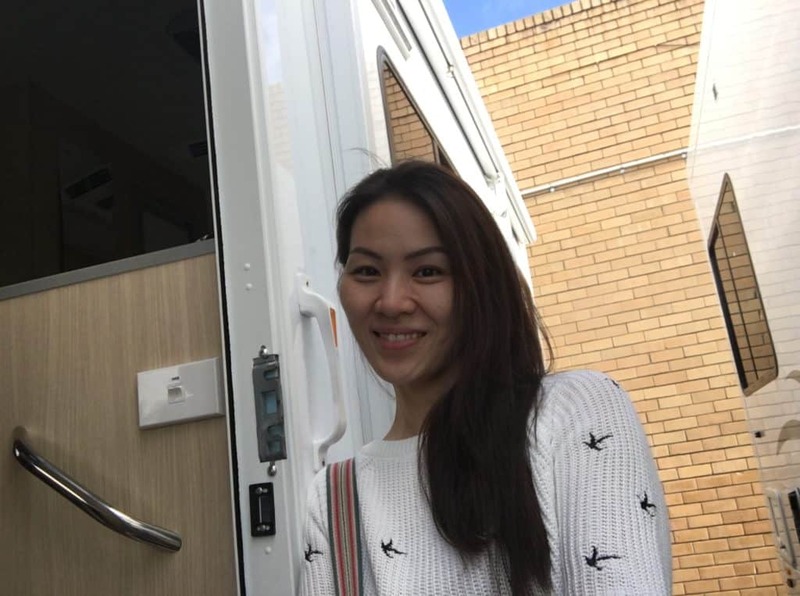 Thanks for sharing your experience driving the Campervan in Perth. My family and I will be travelling in Nov to Perth. We would like to renting a Campervan for a different kind of experience. Would you mind sharing the iternary and the places you visit for the 5 days. We thought of travelling on your own instead of travelling with the convoy. 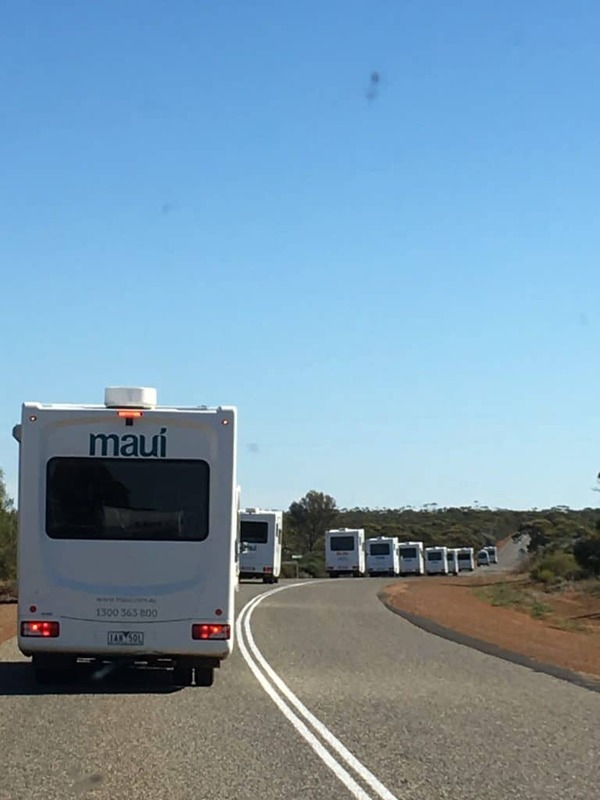 Just to check, for camper van convoy trip, did you book with a local tour agency or an agency in Australia?